So I went a little nuts ordering stuff the other day. The first batch came in the mail today. As you can see I ordered the new "The Swords and Sorcery Anthology" by David G. Hartwell and Jacob Weisman. I know I griped about it but I got it cheap and used and it helped fill out the order. It also means I get the new Nifft the Lean story, so I got that going for me. 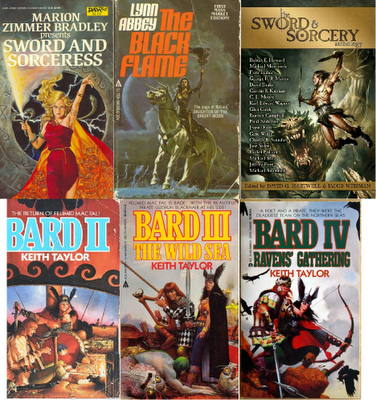 I started reading Keith Taylor's "Bard" the other day and it's great Celtic swords & sorcery fun. Knowing there were more I had to get them all. Problem is, there's a fifth one and it's not readily available. By which I mean I can get it but only for an absurd price. Was it printed in low numbers? On unicorn hide? I don't get it and I didn't get it. Someday, though. Lynne Abbey's "Daughter of the Bright Moon", the preceding novel to "The Black Flame", is just sitting on my shelf right now admonishing me for not having read it already. Maybe after "Bard" and the autobiography of Caesar by Adrian Goldsworthy. Here's to hope. A few weeks back when I wrote about the Imaro story "The City of Madness", I started looking into the sword and soul writing being promoted by Charles R. Saunders. As defined by Saunders, the creator of the phrase, sword-and-soul is "fantasy fiction with an African connection in either the characters or the setting...or both. The setting can be the historical Africa of the world we know, or the Africa of an alternate world, dimension or universe. But that's not a restriction, because a sword-and-soul story can feature a black character in a non-black setting, or a non-black character in a black setting. Caveat: Tarzan of the Apes need not apply." 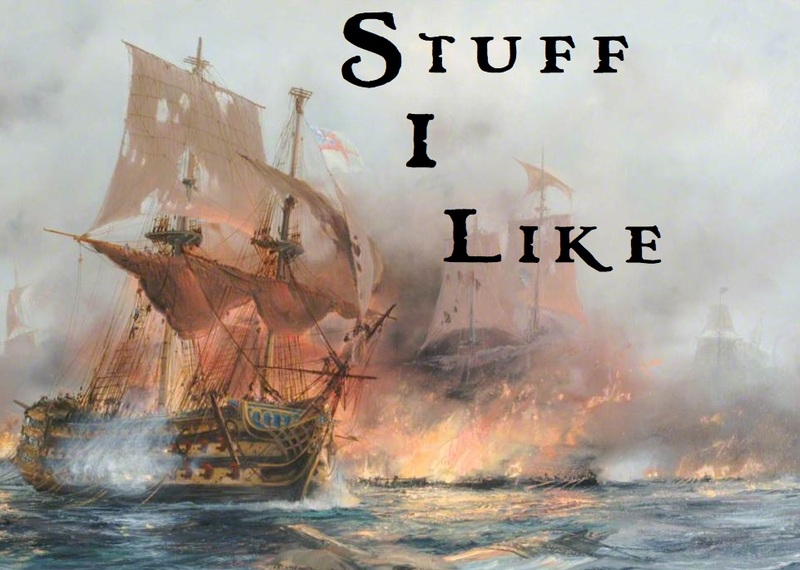 In light of the various arguments that have arisen over the existence or non-existence of racism in R E Howard and the simple dearth of black heroes in S&S I can't think of a better response than the creation of new material. There are a host of authors creating swords-and-soul right now and they're bringing their concerns, backgrounds and roots together in all sorts of ways. If you have some concern that this is fiction with an agenda you're right. However, that agenda is good fantastic fiction. You can argue swords-and-soul isn't so much a new genre as an addition to an existing one but if using the term garners these writers attention and brings in readers who might not notice otherwise then it's fine by me. The book that caught my eye the most was "Griots". Broadly speaking, a griot is a West African storyteller and storytelling is what editors Milton Davis and Saunders set out to do. 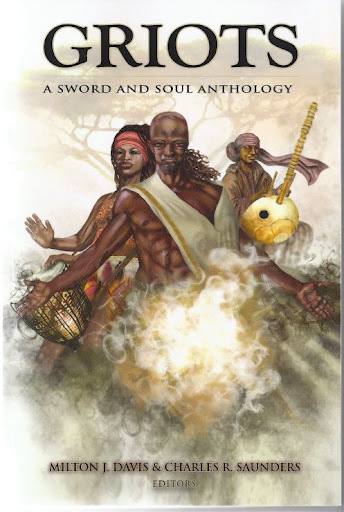 It is an anthology of fourteen stories, including a new Imaro story by Saunders and one about Changa the fighting merchant by his co-editor (and the publisher), Davis. 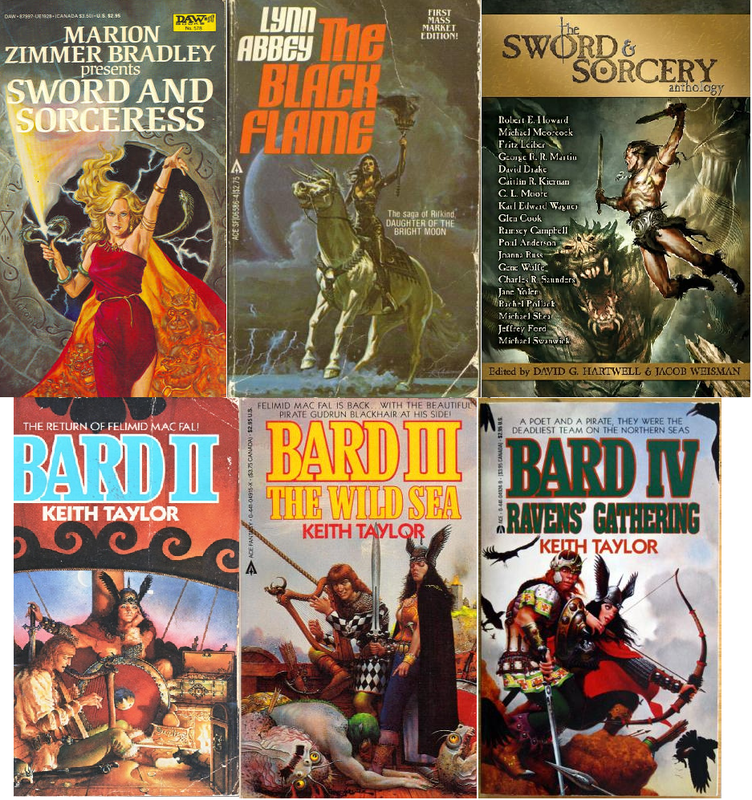 If is isn't clear from things I've written before, I'm a sucker for pretty much any S&S collections (except the new "The Sword and Sorcery Anthology" for reasons I go into in a discussion on the Black Gate forum). At $3.99 for the kindle version I really couldn't say no and I'm glad I didn't. It's not all aces (though it approaches the 50% mark), but it contains exciting and wonderful stuff. It's also got a striking cover by Natiq Jalil. First off, sword-and-soul doesn't simply mean African themed S&S. If "Griots" is anything to go by, it can mean stories cast in legend style or high fantasy as well as good old fashioned monster bludgeoning S&S. What connects the stories are the elements put forward in Saunder's definition. Some of the tales are set in the Africa of the real world (albeit with wizardry and monsters) and others, like the Imaro stories are set in a version of Africa to the side of the historical one. Others are set in fantastic worlds whose roots are African just as the bulk of modern fantasy is rooted in medieval Europe. The characters are a spectrum of black, brown and tan with roots in all the cardinal points of Africa. 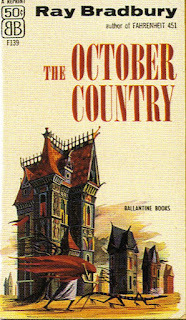 Reading them brought to mind the call from Poul Anderson in his essay "On Thud and Blunder" to writers to reach for inspiration in the myths and roots beyond the European ones (I'm still waiting for the American Indian and Polynesian S&S stories). The use of different cultural reference points alone made the book interesting. Six stories are of the first rank. Of these, Carole McDonnells' "Changeling", a folklore style story of daughterly duty and sibling jealousy, and Minister Faust's take on Egyptian myth in "The Belly of the Crocodile" are my favorites and they aren't S&S. Neither is "The General's Daughter" by Anthony Nana Kwamu, in which a victorious Ethiopian general travels the land of the dead to face a terrible sacrifice. The other three are all very good straight up S&S. For those who've read Davis's Changa novels (I'm in the middle of the first one, "Changa's Safari" right now), "Mrembo Aliyenaswa" is a prequel tale. Saunder's "The Three-Face One" is as good as you'd expect from him (by which I mean it rocks). Imaro encounters a wasteland tribe caught up in a terrible, seemingly unwinnable competition with another tribe. "Skin Magic" by P. Dejli Clark is a tale of a thief cursed with horrible magical abilities being hunted by unknown forces across East Africa. "Awakening" by Valjeanne Jeffers, "Lost Son" by Maurice Broaddus, "The Demon in the Wall" by Stafford L. Battle, "Sekadi's Koan" by Geoffrey Thorne, "The Queen, the Demon, and the Mercenary" by Ronald T. Jones, "Icewitch" by Rebecca McFarland Kyle, and "The Leopard Walks Alone" by Melvin Carter make up the middle-rank. None are bad, in fact they're all pretty decent. Well written, often exciting, just none picked me up and threw me around the room like the other ones did. Except for "Awakening" and "Lost Son", which invoke myths and legends, the others can be classified as S&S or at least nearly so. The only story I didn't like that much was "In the Wake of Mist" by Kirk A. Johnson. Even though I appreciated what Johnson was attempting I found the writing choppy and too overwrought. In the end, six excellent stories, seven alright ones, and only one minor disappointment, is about as solid as any pair of editors can present to the reading public. One of the most interesting things about "Griots" is where the writers come from. Many of the writers come from the ranks of the professionally published. Most have published in small press and e-zines. Several, including Charles Saunders and Milton Davis themselves are among the ranks of the modern print-on-demand and self published. Davis has even gone a step further and created his own publishing company, Mmedia. I'm constantly impressed with the quantity and quality of so much of the non-professionally published (and I'm using that term for lack of a better one. It surely doesn't reflect a non-professional quality level of talent and presentation.) work available these days. So I'm a big fan of Milton Davis and Charles R. Saunder's "Griots". 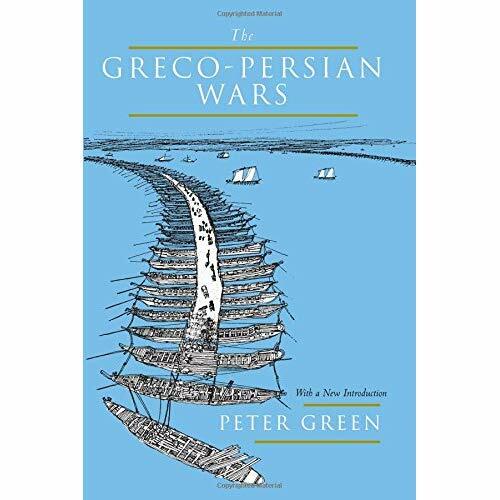 It's about as good a place to start, I suspect, as possible to get a sample of what constitutes sword-and-soul writing. While there's one aim to the collection as spelled out in Saunder's definition, it's a genre speaking in many, varied voices. And they don't speak as mere responses to what S&S and general fantasy have already done. These are writers building on what's come before (REH, Leiber, et al.) with new materials, bolstering and expanding the foundations and extending it in ways that hasn't been done enough in the past. I hope I don't sound too starry-eyed by all this, but it really is exciting to see a genre I love developing before my eyes (and not just by swabbing on the blood and cynicism) and I really hope to see it take deep root and succeed. NOTE - I didn't mention the artwork because I haven't seen it. Each story has been illustrated by a different artist but you only get that in the print edition. Because I'm cheap and lacking in shelf space I lost out. From the few pictures on Charles R. Saunder's website I think I missed out big time. I really don't have much to say in the wake of so many better said things said by others today. I loved much of the man's work. "The October Country" and its assorted haunts and shivers is probably still my favorite. Rest in peace, sir, and thank you. This month's issue of Swords and Sorcery Magazine appeared on the interweb the other day. As usual it's got two stories. There's still no non-fiction but the editor is on the lookout for reviews and the like. The first story, "The CarolianTablet", by Ed Ahern, is a ball. The Old One, a sorcerer, and his adept, Malame, have come to the Red City in order to hear a business proposal from Queen Hastert. She wishes to know the outcome of a looming war and doesn't want to risk her own sorcerer, Thorpak. The Old One agrees, but only for a price the Queen is initially unwilling to pay. What follows is a fun story full of duplicity, conjurations and a ferocious demonic dog. Malame narrates and his descriptions of standing in the presence of the demonic dog alone is worth the fifteen minutes it took to read the story. Nothing super special but fun stuff done very well. 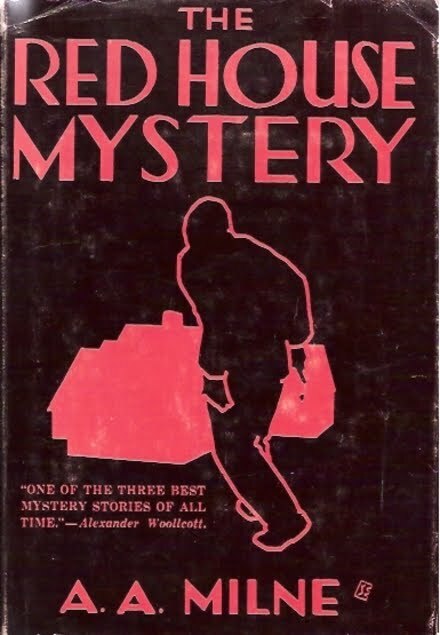 Billy Wong's story, "Price of Fate" doesn't hold up the second story slot as well as Ahern's does the first. In it a seer envisions the death of her brother in a battle. Determined to avoid this she plots imprison him for the duration and take his place. There really isn't much more to the story and its outcome is as predictable as you're probably guessing. That's all until next month brings us to Issue #6. I'm continuing to look forward to each new issue. Issue #96 of the always interesting Beneath Ceaseless Skies arrived the other day. Neither of its two stories is S&S but both are well done fantasy stories more than worth your time. Adam Callaway's "The Magic of Dark and Hollow Places" tells two converging tales. It's a curious, nightmarish story filled with parchment, ink and danger in dark tunnels. The first is of the Inked Man, a strange figure covered in writing. He's able to write things on his body that when torn off come into existence. The other story is about a miner working under strenuous conditions writing to his girlfriend. The point where they meet isn't unexpected but no less sorrowful. "Serkers and Sleep" by Kenneth Schneyer is less strange than "The Magic of Dark and Hollow Places" and perhaps that's why it's more successful. In the lakes of the valley the narrator Scuffer lives in are things called serks. When a man's bitten by one he first becomes incredibly strong and focused capable of great endeavors. After two days, three at most, he becomes a raging homicidal paranoiac who must be killed. Scuffer's family owns a book, passed down through several generations that is unintelligible. Till one day when Scuffer and his female friend, Dipper, risk parental wrath to open it. Scuffer finds he, even though illiterate, can read individual sentences. It becomes clear the book is giving him advice. When Dipper is bitten by a serk the book saves Scuffer and sends him on a journey that will bring him into contact with legends from his town's distant past as well as a confrontation with its future. "The Magic of Dark and Hollow Places" is like a pain filled little dream. "Serkers and Sleep" is more naturalistic. Both are quite good in their own distinct ways and recommended.